In August of 2013 I wrote to Kali Handelman, the brand-spanking-new editor of The Revealer, to see if she might be interested in a monthly column about all the testy, complicated questions surrounding religion and medicine that riddle the rich folds of our American social fabric. My pitch was rather loosey-goosey: a placing of two terms in relation to one another, a commitment to question both my definition of those terms and their commonly understood meanings, a mapping of where they overlap and don’t. The title, “The Patient Body,” was both a play on words and an ode to that most dissipated virtue, patience, to endure discomfort without complaint. Suffering in silence doesn’t get many points on my own personal scale, but suffering is —either on a cross or on a hospital gurney— the core of both religion and medicine. With a patient body, our most immediate media, seemed like a sound place to start. 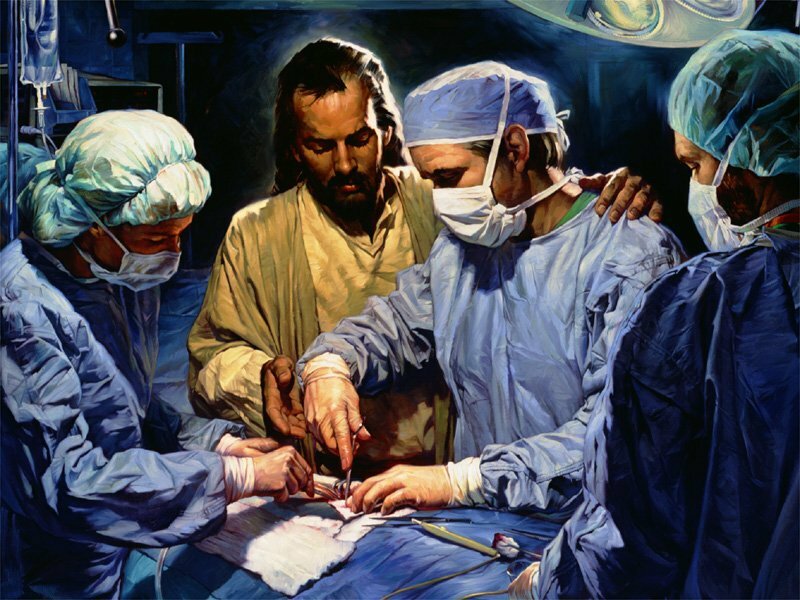 Religion is the bane and bastion of medical ethics (see “How Ethics Saved the Life of Medicine,” August 2015), the tenets of the application of science to bodily health. Like an appendix, both germane and excessive to the body, religion is the shadow and progenitor of ethical practice in medicine. Often it is the media coverage of the two that muddies our understanding of their historical interdependence: the court controversies, the ethical conflicts, the tensions between personal and public health. Media’s increasing need to tell stories that outrage, incite and ultimately generate sales (of ads, clicks, or anything, really) reduces any issue to two sides, the more closely matched the better the fight, often characterized as science vs. religion or individual vs. the bureaucracy. No one gets to be a complicated human in these matches; no one gets out alive. 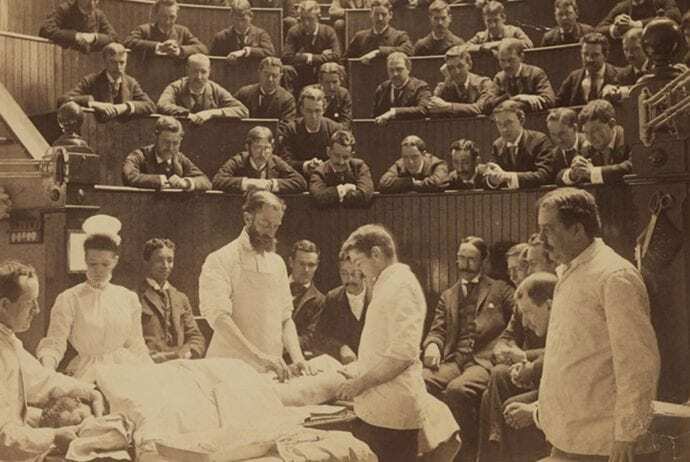 The relationship between religious morality and medical ethics is—and we could argue has always been—narrated by the religious (particularly the most politically visible), the medical professions (the farther from the patient body, the more corporatized). Nuance and subtlety, debate and negotiation, have never been the media’s practice— bet that media legacy, new, subscription, or social. Throw in a heap of our country’s religious illiteracy, add a dollop of “capital T” truth dished out by science and medicine—“we own the facts, we’re curing cancer!”—and you have the perfect recipe for our mediated cultural collision course. Since I made religion and medicine my beat nearly a decade ago, and since we began The Patient Body, the narrowing and calcifying of mediated opinions have most characterized the national climate. Trump’s election, thanks in large part to evangelicals willing to look past most anything for the sake of an ever more conservative US Supreme Court, confirmed that politics today is about winning, not governing. Even if this had been the case for decades, the cravenness of the Democratic party was exposed; the Republican party’s use of moral purpose as a shield for theft was laid bare. If I pay you $10,000, will you give me a kidney? Just one. You have two and you really only need one; you’re healthy, and while I don’t know you, I think you might have an idea of what to do with an extra ten G. I’ll cover your hospital stay, your operation, your recovery*, all you have to do is… let my surgeon cut into your abdomen and take your kidney. You’ll be saving a life. You’ll be richer. You’ll be giving the ultimate gift. The column asks us to reconsider the emotionally compelling but ultimately false notion that altruism is an unmitigated good. 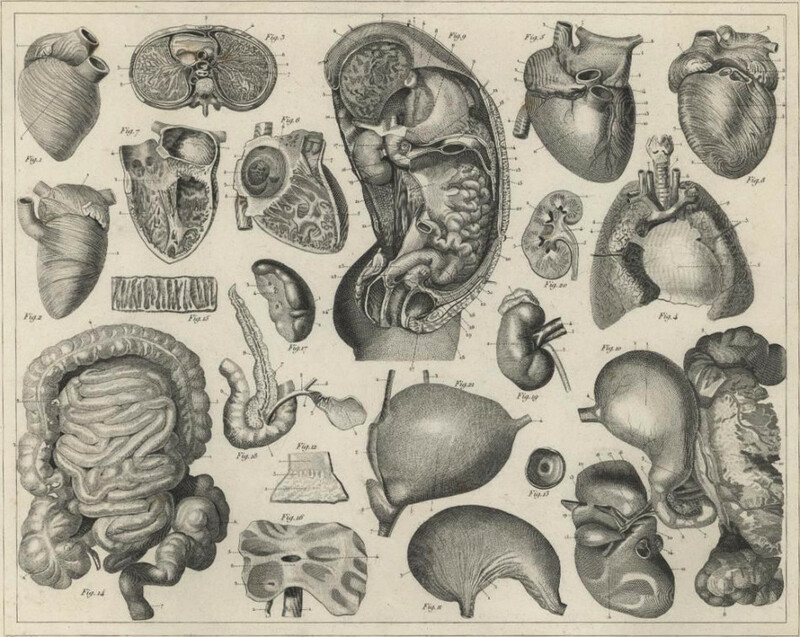 I argued that the international medical industry was patting its own self-righteous back when it declared that organ donors cannot legally be paid for their kidneys; I factored in the astounding shortage of kidney donors and the elaborately inequitable regimes established to collect organs. It’s a piece of humor and dissection that was easier before Trump’s election shifted medical policy from pragmatic recalibration to outright national triage. Patient autonomy and public health can travel in tandem; most often a patient’s medical decisions are not a threat to society. But in the highly publicized and controversial cases when they don’t agree, I have tried to wade in. The most perfect example of how religion and medicine confound patient autonomy—pitting the soul against its pain—is the battle for legal aid in dying in the US. The very first Patient Body, “An Irresistible Force,” looked at the laws surrounding “assisted suicide” and how they were being used by opponents of aid in dying. I examined a highly charged case where a state’s “assisted suicide” laws, being used to confound patients’ end of life choices, caused unnecessary pain and suffering for one family. Erring on the side of life is an unquestionable principle, perhaps, until you’re standing where Barbara Mancini was on February 7, 2013, in her father’s home outside Philadelphia, Pennsylvania. Joseph Yourshaw asked his daughter, Barbara, a nurse, to hand him a bottle of morphine. Yourshaw was 93, a war veteran with diabetes, end-stage renal disease, heart disease and the effects of a stroke. She gave him the bottle. He took the morphine. Mancini was arrested; her defense supported by the largest aid in dying organization in the country, Compassion and Choices. Was Yourshaw’s decision to drink the morphine immoral? Illegal? A danger to his soul? His family? Society? Was Mancini’s simple act a threat to anyone? Ultimately the court ruled that Mancini could go free, but her experience no doubt stifled countless families caught in similar horrors of love and pain. Schlafly wielded pain as a moral cudgel, deployed to maintain the narrow roles of behavior she and her political counterparts interpreted as moral. You venture beyond the hearth, the marriage bed, the modesty of appropriate female clothes, the confines of strict gender-sexual alignment and you are punished. Women are never allowed to be their natural selves—without make up, unshaven, uncoiffed—unless they’re giving birth. Then the shaming of selfish women who want medication begins. With such disregard for women’s well being, it can be no wonder that the US maternal mortality rate has doubled since 1990. Calls for abstinence are as old as the Garden of Eden, and for exactly none of that time have they been broadly heeded. Nevertheless, Christian evangelicals persist in their cultural and political emphasis on sexual abstinence. And that persistence continues to have serious consequences. With the Trump administration’s embrace of inequalities—racial, financial, gendered—not as tacit unfortunate challenges but as designed and moral structures, public health (and how we talk about both nationalism and the health of the country when we talk about it) becomes a cudgel aimed at the most vulnerable. In this administration, the most vulnerable are re-characterized as unsafe, immoral and dangerous; they are a threat to the nation’s physical and financial health: dangerous Muslims and Mexicans, grifting welfare recipients, lazy poor people. In a dog-eat-dog world where survival goes to the fittest, it takes a pretty self-assured ideology to carry this kind of warped “moral” weight. Othering, redefining citizenship, privileging of some rights over others, heightening fears of moral and physical danger or infection: these are the tools of power, political and moral. More often than not, these tools pit the rights of minority groups against a glorious retelling of nationhood. They help shift the definition of morality away from health and care and rights to profit and winning and might. With The Patient Body, my goal is to find the moral truths, to ask who is scapegoated or ignored, to point to what’s at stake. Few tasks can be more exciting to a writer than looking back at the accumulation of work diligently amassed over time. As I sat down to mark the passing of our four years by rereading these columns, so many surprised me with their urgency, clarity, and bravery. Much of that freshness is due to Kali’s fine directing, to Angela’s eternal astuteness, and to the history and mission of the Center and The Revealer. Lord, make me a vessel!